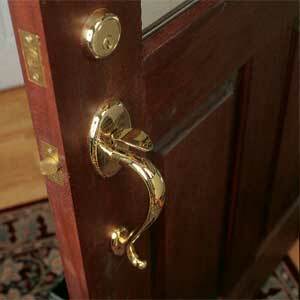 Are you still relying on the lock that was on the front door when you moved into your house? The lock seems like an old, dear friend, but it may not be. Nearly 3 million U.S. homes are broken into every year. Although not all break-ins are preventable, exterior locks and dead bolts are your most important line of defense. Today’s locks offer much greater protection. But picking the right lockset can be very confusing. We’ve done the initial research on three major types of exterior locks on the market—keyed-entry doorknobs, handle sets and dead bolts—to sort out features and costs.